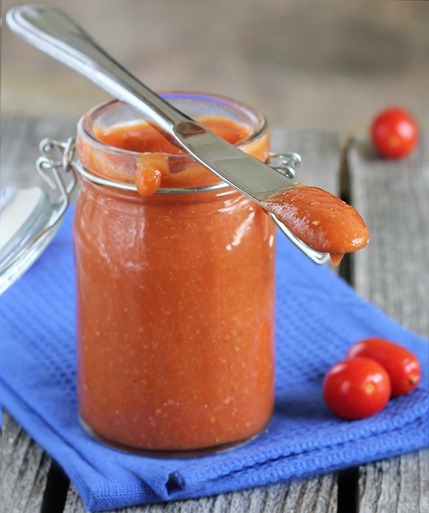 This DIY ketchup is healthier (no high-fructose corn syrup), easy to make, and it tastes amazing! Preheat oven to 400 F. Roast first two ingredients 40-45 minutes, or until the tomatoes are shriveled and most of their liquid is absorbed. Then blend with all other ingredients. Let cool before putting in the fridge, and for thickest results leave uncovered a few hours even after putting in the fridge.